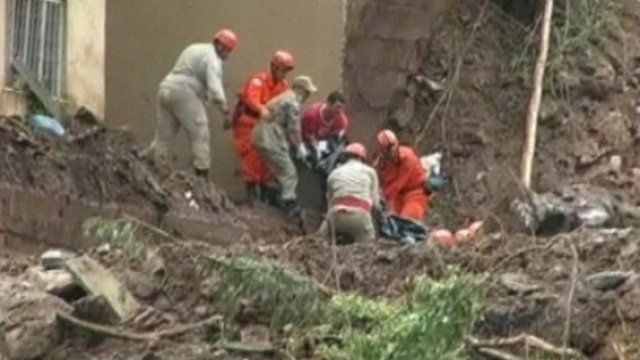 Rains trigger deadly Brazil landslide Jump to media player At least 13 people are thought to have died after a landslide triggered by heavy rains swept through a town in southeast Brazil. 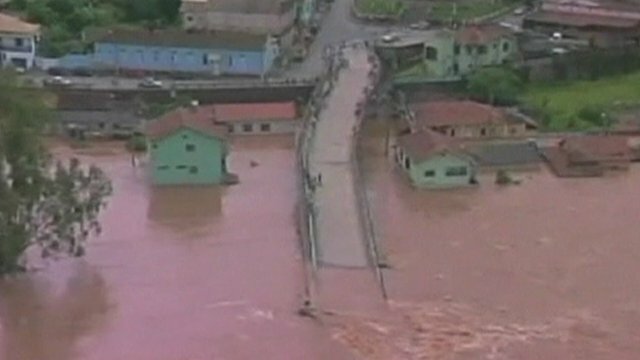 Thousands flee burst Brazil dam Jump to media player A dam has burst in northern Rio de Janeiro state in Brazil, forcing thousands more people to flee their homes to escape flooding. 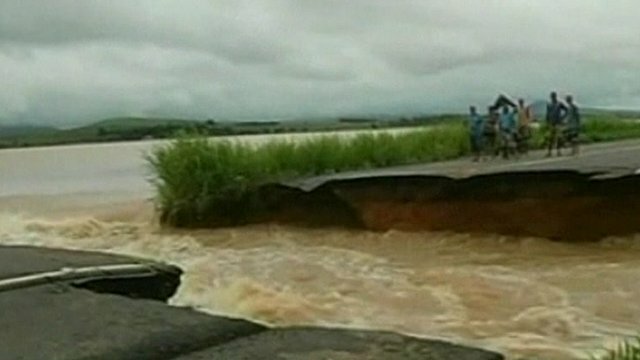 Thousands flee burst dam in Brazil Jump to media player A dam has burst in northern Rio de Janeiro state in Brazil, forcing thousands more people to flee their homes to escape flooding. 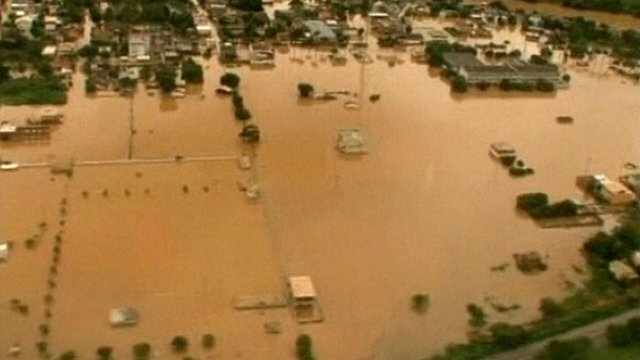 Deadly floods hit southern Brazil Jump to media player Floods and landslides caused by heavy rain in south-eastern Brazil have killed at least six people and forced thousands from their homes. At least 13 people are now thought to have died after a landslide triggered by heavy rains swept through a town in southeast Brazil. Rescue workers believe many more people may be buried under the mud in Sapucaia, in the state of Rio de Janeiro. The BBC's Daniel Griffiths reports.